I suppose it was kind of a novelty thing, but I have no idea why you would print a recipe that is presumably for keeping on something as fragile as a napkin. This one survived, at least. 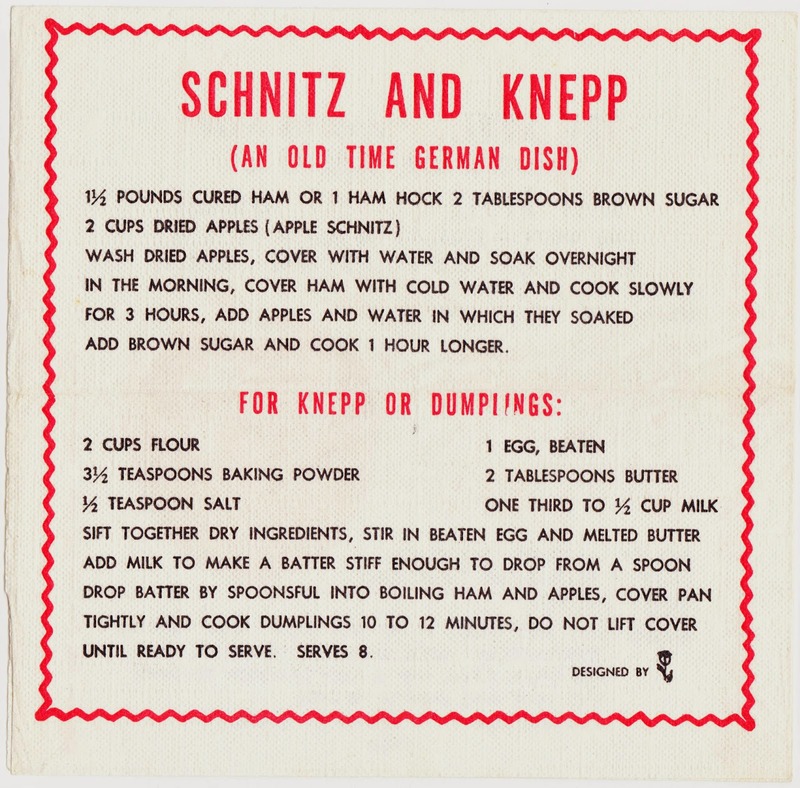 The traditional recipe's main ingredients, as you can see, are ham, brown sugar and dried apples, which are then mixed in with the knepp (flour dumplings). 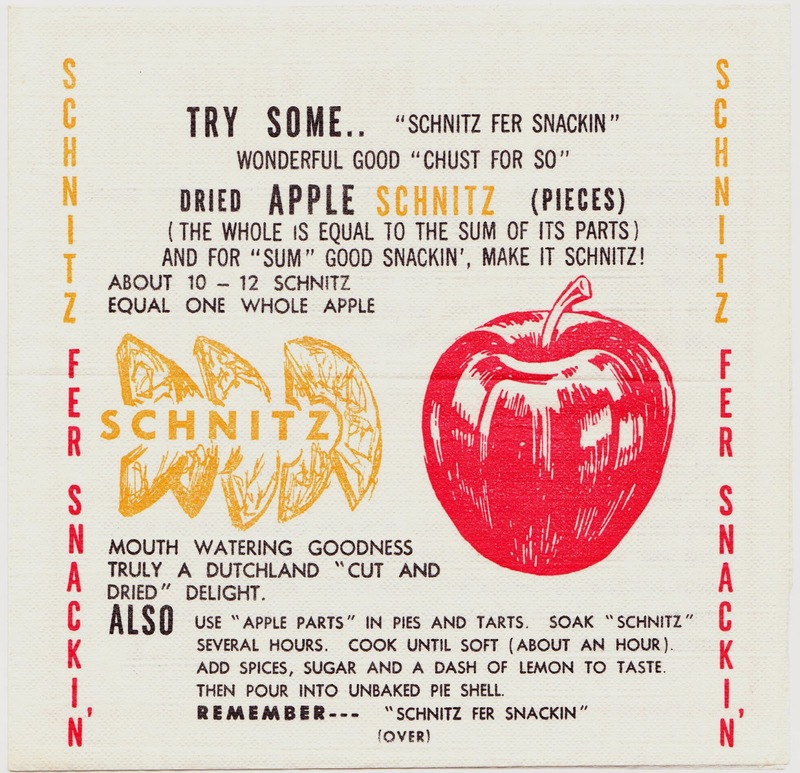 The schnitz applies can also be eaten as a standalone snack. Finally, the only clue we have about who made this napkin is this small logo in the corner. Any leads regard who produced this and when would be greatly appreciated!